You’ve been travelling. You’ve discovered your own favourite corner of the world and written a wonderful story. Your camera is brimming with lots of juicy shots. In other words – you feel confident this one will sell hands down. Believe me, I have been there… only to find out that it doesn’t sell. Why? Why? WHY? There’s nothing like a rejection to fuel your insecurities as a travel journalist. Isn’t the text good enough, funny enough, informative enough? Aren’t the pictures colorful enough, plentiful enough, strong enough? Well, it may have nothing to do with the quality of your submission. It may be top notch, and something editors would be fighting to get their hands on. However, timing is critical when you present your articles. A ski holiday in the Alps is not something to send out for assessment in May. I have found editors to be just as influenced by the season we’re in as everybody else. They may be planning their articles ahead, but chances are very slim they will actually buy something that is totally out of season. On the other hand, if you wait too long into the autumn months to present them with your article on skiing in the Alps, you risk missing the slot. To sum it up, you’ll need to be one step ahead. To give you an idea of how to work, you’ll need to start planning your Valentines article in October (Paris, Rome, Venice – don’t worry – there’s no need to reinvent the wheel every time). Sending your potential clients a piece especially written with Valentines in mind in November shows that you are on top of things and will give them one less thing to worry about. By March you should have your summer articles ready. Where’s the best surf? What’s new in Mallorca? And by August you should be thinking autumn city break destinations like London, Berlin and Madrid. Good luck, it’s already January the 8th and high time to finish off your articles intended for the Easter holidays. Part one of our series which focuses on how to make money as a freelance travel journalist. Part two is for those of you who are not sure whether you are travel bloggers or travel journalists. Part three reveals a trick or two about how to write about the essence of a place. A must have skill for all travel writers! Part four deals with photography. How do you make your images publishable? Many people ask me how, how much, when and all sorts of other business related questions about being a travel journalist. It is a field many want to venture into, and as I’m sure you’re aware of, there is no easy way or a guaranteed method that will make you reach your goal. I feel the need to stress that I have no recipe that will work wonders for you. However, my approach has worked for me, so it certainly can be done. I have no formal education as a writer, only as a photographer. It tends to be the other way around. Trained journalists tend to be able to take a decent photo. In my case, I’m a trained photographer who am able to write a decent article. I believe this has worked in my favour. It creates appealing packages which are easy to use for the publisher. I have had lots of feedback from magazines about the photo material I supply being a cut above the rest. This will of course in turn save the publication the cost of buying stock photos. 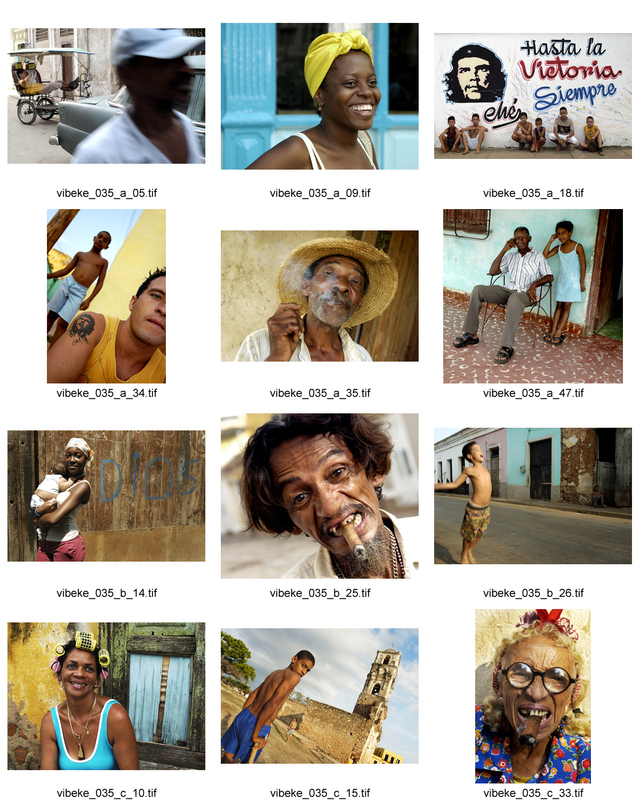 Below is an example of the type of photographs I supplied with a text about the people of Cuba. My husband and I met these people when travelling through Cuba a couple of years ago. They all had really interesting stories to tell. About communism, about Castro, about poverty and food shortage. However, their stories would not be printable without these strong, vivid portraits of their faces. In most cases it is still true that a picture says more than a thousand words. I will be getting more into details about what type of photographs the editors are looking for later on in the series. The first point I would like to put across however, is about how to actually make money as a travel journalist. I believe most budding travel journalists aspire to National Geographic standards. We want to reveal beautiful places, and share with our readers what makes these places so special. Truth is that there’s nothing wrong in aiming high, but until you reach your goal of being published by National Geographic, you’ll most probably need some cash for bread and butter. So. If you go to India, by all means, spend two weeks with a family living in the slum. Take all those wonderful images that convey a feel of the place. Get the information and enrich yourself. But along the way, try to think of a way to convey your story to the masses. Travel magazines and some lifestyle magazines (i.e newspaper supplements) are the only ones publishing in depth stories with a strong documentary feel these days. However, there are lots of other publications that use travel articles frequently. If you’re not sure where to start, get a travel piece together and start out by sending it to your local paper. It can be about a new cafeteria in town, about a botanical garden where you’ve taken stunning pictures. It isn’t necessarily the most exotic articles that are the easiest to sell! Be prepared to get paid a modest amount, as local newspapers don’t tend to have a big budget for their travel pieces. However, it’s more about getting published and learning about the process than big earnings in the beginning. If you don’t succeed in selling your documentary style article to the travel magazine of your dreams – and even if and when you do succeed in doing so – chances are they will pay you between $ 1.000 – 2.000 for it. This will of course cover the costs, but won’t leave you with much change for your next plane ticket. So the key to successful travel journalism (as long as you’re a freelancer of course), is to squeeze your destinations and make two, three or maybe even four sellable stories from each trip. You could always base your article on one of the people you meet. Convey a sense of their perspective. Week one: Get a feel of the place, talk to people, get cracking with the photographs, make arrangements to meet other people that may have something valuable to add to your article. Within the first week you will most likely have your documentary style article nailed. Week two: Track down other tourists in the slum. Photograph them, and interview them about their experiences. This way you will not have to base your writings on your own experiences alone, and you can spice up your text with other people’s thoughts. This can easily become a travel article for the adventurous, something you can sell to a travel magazine back home. Week three: Find a subject matter that interests you within your location in the slum. 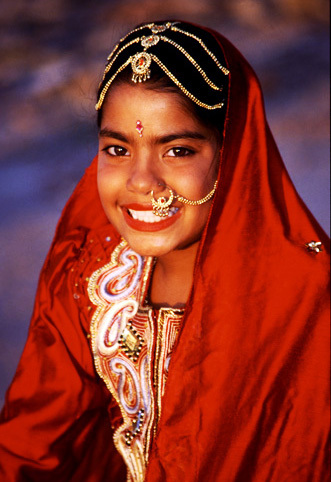 It can be saris, vaccination programs or food storage. It doesn’t matter, but it is often easier to sell a text with particular angle to it, than just an overview of a place kind of article. There are LOTS of specialized magazines that are interested in anything from cross stitching to thatched roofs. If you have an article with great pictures of saris – first hand tales from the depths of the Indian slums – people will be interested in reading about it! Conclusion: If you succeed with the plan above, you will have three articles to sell from your three weeks in India. 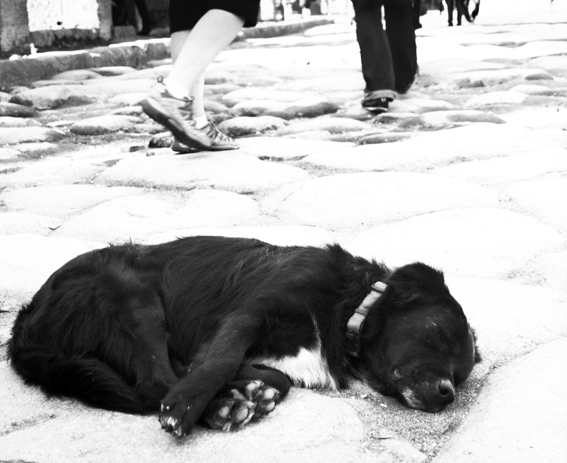 If you have any time leftover you could consider making a photo story on, let’s say, slum dogs. Sometimes travel magazines publish photo documentaries which don’t require much text. Finally – get out there and be creative! Do lots of research before you go, and decide what you’re hoping to cover. It makes the job a lot easier than just wandering around aimlessly with a camera, hoping that something interesting will come your way. Feel free to check out some of our recently published work from Marrakech, or how about finding out more about mainland Spain’s best beaches? Fancy reading more travel journalism DIY tips? Check out part two of our series which focuses on how to move on from having a successful travel blog to getting your articles printed and published the old fashioned way.